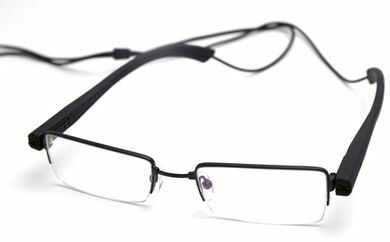 The SUNLM480420 is a pair of eyeglasses with a hidden camera in the frames. These sunglasses are not only great for spying, since they're compact and lightweight, you can take them everywhere. Be ready to film whenever, wherever. Wear at an event or special occasion to leave your hands free for food and handshakes. People will act more natural than if you were lugging around bulky camcorder. When we first got these in even other people in our office couldn't tell they was a camera in the frame. This is a fun gadget you don't want missing from your collection. Quality video. Capable of capturing 30 frames per second with 480 TVL of resolution. They can connect to a DVR for a variety of storage options. CLICK HERE to check out the Pocketdvrlite unit that we carry for use with this item! Versatile. This top of the line product isn't limited to use indoors. They also come with dark lenses to be used in bright conditions.